Oh how I love Kate Beckinsale! She looked flawless at Porsche Design’s 40th Anniversary Event in LA where she wore a Vivienne Westwood dress. She paired it with STARK’s Airs Envelope Clutch. Hot! 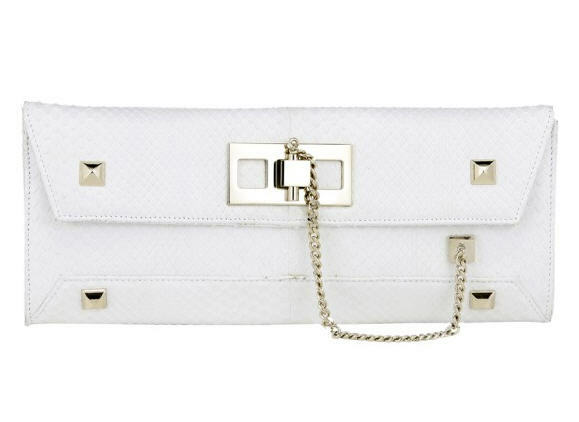 Her white python clutch features edgy pyramid studs and a chain closure. STARK’s Airs Envelope Clutch retails for $1423. Visit www.starkltd.co.uk for more information and www.viviennewestwood.co.uk for more information on Kate’s dress. *Images courtesy of Wenn.com and Getty.